MEANDER is an Atmospheric Dark Light music project by Tim Stab Venom. It covers wide range of genres, from minimal ambient to gothic metal through new-age, space, post-rock and electronica. Here you will find Meander's full discography and history. Download music in MP3 for free, read lyrics and interviews, have some wallpapers and get to know album conceptions. For now, Meander's discography consists of following albums: Contemplation Volume 1. is a 75 minutes long sound of summer night with ceramic windchimes tuned in pentatonic scale, that may be described as minimal and natural ambient, A Tune for the Moon (1. Springs, 2. Waltz of the mushrooms, 3. Memories of the flight in dream, 4. Thulsa Doom, 5. Whales return, 6. Enter Twilight, 7. Summer Ends) is the EP in new-age genre, A Song for the Sun (1. Before the Storm (prelude), 2. Dancing within a Spring, 3. Skybelt (extended mix), 4. Sun in an Amber, 5. Underwater Skies, 6. Song for the Sun) is the twin EP of the previous and shows dark metal approach of music, Beyond the Evening Spell single (1. Beyond the Evening Spell, 2. 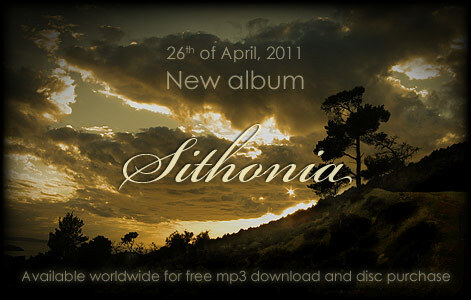 Abyss (collateral consequence of applying the invocation)), First truely long play album is called Sithonia (1. Seaborn Sky, 2. Immersion, 3. Twilight in Green (TONe mimic), 4. Herbaceous Space, 5. Ozonosphere Paean, 6. Nyctanthous Welkin, 7. Islands in sight, 8. Aegean Transition), it's style widely swings between ambient, progressive rock, space and electronic, Twilightide is the album to join music of A tune for the moon and A song for the sun together.